Falkirk has a resident population of 34,570 according to the 2008 census. The population of the town had risen over the past decade, making it the 20th most populous settlement in Scotland. Falkirk is the main town and administrative centre of the Falkirk council area, which has an overall population of 156,800 and inholds the nearby towns of Grangemouth, Bo’ness, Denny, Larbert and Stenhousemuir. The subjects are located on the north western side of Cockburn Street between its junction with Arnothill Gardens and Tanners Road. 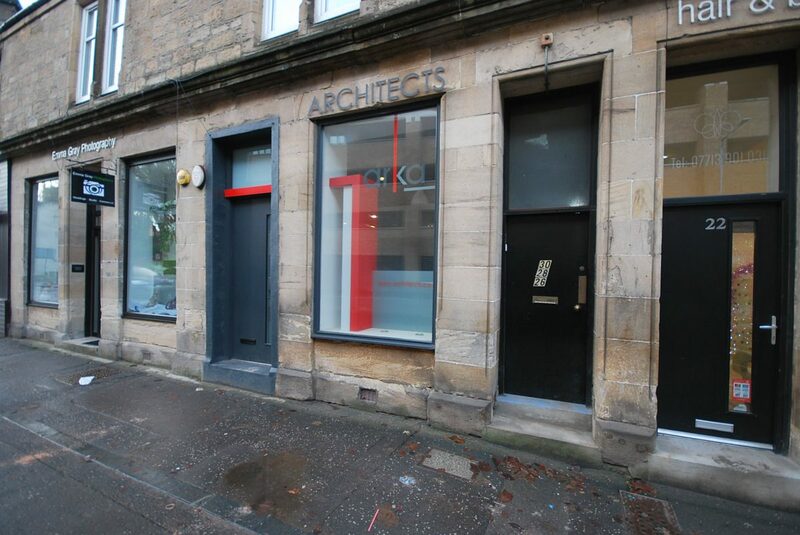 Cockburn Street is well positioned for office and retail use being 2 minutes walk from the west end of the High Street. The unit benefits from a private parking area to the rear. The subjects comprise a ground floor mid terraced retail unit contained within a two storey building of traditional stone construction surmounted by a pitched and slated roof. The shop benefits from a large display window and entrance door. The subjects were most recently utilised as a class 2 office but are also suitable for class 1 uses. Internally the subjects provide open plan front retail area, kitchen and WC facility. The property also benefits from a mezzanine storage area. Offers in the region of £47,500 are invited for our client’s heritable interest.